The Best Damn Vegan Mashed Potatoes By Dana | Minimalist Baker. 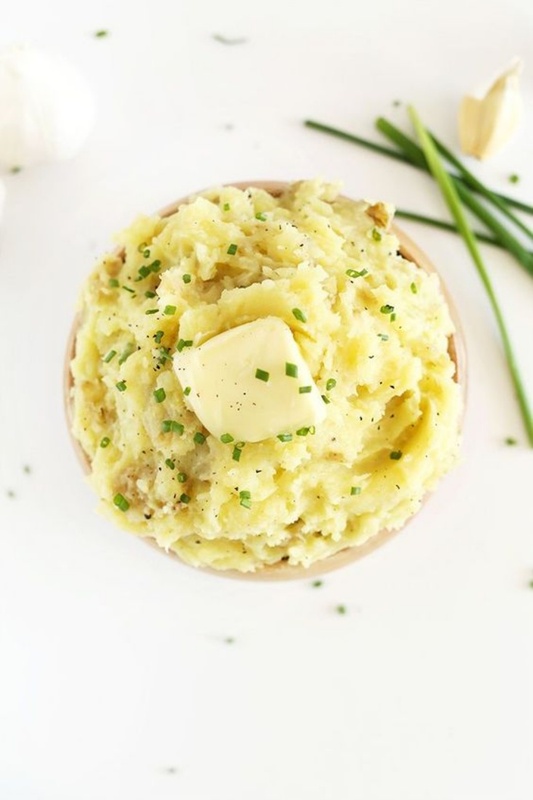 Vegan mashed potatoes that are fluffy, creamy, buttery, and loaded with roasted garlic and chives. Perfect as is, with gravy, or with a giant scoop of vegan butter.